Yahoo buys a teenager’s start-up !! Yes Tech Giant “Yahoo finally crack the deal ..Lets us find out more. 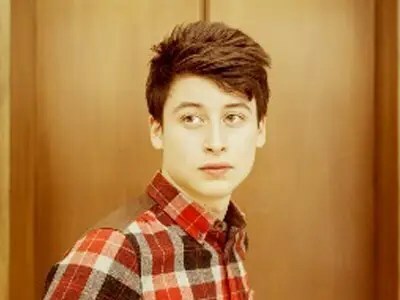 Summly an android application made by Nick D’Aloisio an a British-Australian entrepreneur, computer programmer and designer who created Summly that is based on a summarization technology developed by SRI International. Summly allows you to browse news fast, easily and beautifully, by viewing concise summaries of online content. Reading on a mobile device is bit tiresome & content simply does not fit. The solution is summly.Algorithmic generated content which use artificial intelligence and Natural language processing. like most high school students, he still lives at home, has a curfew and gets nagged to clean his room. He tells NY Post he’ll be commuting from his parents’ house to his first-ever job in two weeks when he begins at Yahoo. D’Aloisio also has a girlfriend. What does she think of the acquisition? She is “very excited,” D’Aloisio tells NY Post. The pair have been dating for 10 months. D’Aloisio says spending time with her is a favorite pastime, along with playing sports and designing things. Thank you & keep reading !! I just want to say I am just very new to blogs and honestly loved you’re web blog. More than likely I’m want to bookmark your site . You certainly come with remarkable article content. Cheers for revealing your web-site.